Recorder From The Beginning: Blues, Rags And Boogies Pupil's Book With CD. For Recorder. Music Sales America. 32 pages. Chester Music #CH65593. Published by Chester Music (HL.14027183). Take advantage of this over-stock pricing while supplies last. ISBN 0711996229. 10x8 inches. This fun collection of graded repertoire with accompanying CD will appeal to pupils and teachers alike. Featuring well-known tunes plus exciting new pieces by John Pitts in authentic blues, ragtime and boogie styles. Suitable for players who have reached the end of Book 1 in the Recorder From The Beginning teaching scheme. Recorder From The Beginning: Blues, Rags And Boogies Pupil's Book by John Pitts (1976-). For Recorder, with chord symbols. Music Sales America. Blues, Ragtime. 32 pages. Chester Music #CH61383. Published by Chester Music (HL.14027182). ISBN 0711965676. Blues, Ragtime. 10x8 inches. This fun collection of graded repertoire will appeal to pupils and teachers alike. Featuring well-known tunes plus exciting new pieces by John Pitts in authentic blues, ragtime and boogie styles. Suitable for players who have reached the end of Book 1 in the Recorder From The Beginning teaching scheme. Bach & Blues per quartetto clarinet by Roberto Di Marino (1956-). For clarinet quartet. Published by Pizzicato Verlag (PZ.PVH-102). Bach & Blues fur Sax Quartet by Roberto Di Marino (1956-). For sax 4tet. Published by Pizzicato Verlag (PZ.PVH-475). Volume 4 "Blues". (solo or duet). By Dennis Armitage. For 1-2 tenor saxophones and piano (guitar, bass, drums optional). Swiss import. Grade 3-3+. Score and parts. Published by Editions Marc Reift (MA.EMR-918F). Volume 4 "Blues". (solo or duet). By Dennis Armitage. 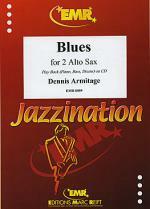 For 1-2 alto saxophones and piano (with optional guitar, bass and drums). Swiss import. Grade 3-3+. Score and parts. Published by Editions Marc Reift (MA.EMR-918E). Volume 4 "Blues". (solo or duet). By Dennis Armitage. For 1-2 clarinets and piano (with optional guitar, bass, and drums). Swiss import. Grade 3-3+. Score and parts. Published by Editions Marc Reift (MA.EMR-918C). Volume 4 "Blues". (solo or duet). By Dennis Armitage. 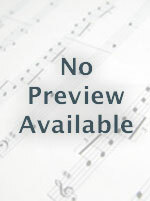 For 1-2 flutes and piano (with optional guitar, bass, and drums). Swiss import. Grade 3-3+. Score and parts. Published by Editions Marc Reift (MA.EMR-918A). Blues by Dennis Armitage. For tenor saxophone, trombone & piano. Swiss import. Grade 3-3+. Score and parts. Published by Editions Marc Reift (MA.EMR-8107P). Blues by Dennis Armitage. For tenor saxophone, trombone & CD accompaniment. Swiss import. Play Along. Grade 3-3+. Sheet music and accompaniment CD. Published by Editions Marc Reift (MA.EMR-8107). 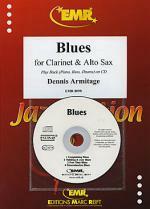 Blues by Dennis Armitage. For alto saxophone, trombone & piano. Swiss import. Grade 3-3+. Score and parts. Published by Editions Marc Reift (MA.EMR-8106P). Blues by Dennis Armitage. For alto saxophone, trombone & CD accompaniment. Swiss import. Play Along. Grade 3-3+. Sheet music and accompaniment CD. Published by Editions Marc Reift (MA.EMR-8106). Blues by Dennis Armitage. For alto saxophone, tenor saxophone & piano. Swiss import. Grade 3-3+. Score and parts. Published by Editions Marc Reift (MA.EMR-8105P). Blues by Dennis Armitage. For alto saxophone, tenor saxophone & CD accompaniment. Swiss import. Play Along. Grade 3-3+. Sheet music and accompaniment CD. Published by Editions Marc Reift (MA.EMR-8105). Blues by Dennis Armitage. For tenor saxophone, trumpet & piano. Swiss import. Grade 3-3+. Score and parts. Published by Editions Marc Reift (MA.EMR-8103P). Blues by Dennis Armitage. For tenor saxophone, trumpet & CD accompaniment. Swiss import. Play Along. Grade 3-3+. Sheet music and accompaniment CD. Published by Editions Marc Reift (MA.EMR-8103). 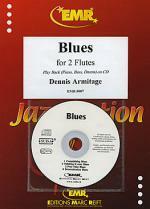 Blues by Dennis Armitage. For alto saxophone, trumpet & piano. Swiss import. Grade 3-3+. Score and parts. Published by Editions Marc Reift (MA.EMR-8102P). Blues by Dennis Armitage. For alto saxophone, trumpet & CD accompaniment. Swiss import. Play Along. Grade 3-3+. Sheet music and accompaniment CD. Published by Editions Marc Reift (MA.EMR-8102). Blues by Dennis Armitage. For clarinet, trombone & piano. Swiss import. Grade 3-3+. Score and parts. Published by Editions Marc Reift (MA.EMR-8101P). Blues by Dennis Armitage. For clarinet, trombone & CD accompaniment. Swiss import. Play Along. Grade 3-3+. Sheet music and accompaniment CD. Published by Editions Marc Reift (MA.EMR-8101). Blues by Dennis Armitage. For clarinet, trumpet & piano. Swiss import. Grade 3-3+. Score and parts. Published by Editions Marc Reift (MA.EMR-8100P). 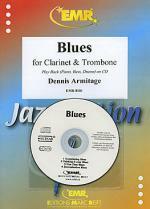 Blues by Dennis Armitage. For clarinet, trumpet & CD accompaniment. Swiss import. Play Along. Grade 3-3+. Sheet music and accompaniment CD. Published by Editions Marc Reift (MA.EMR-8100). Blues by Dennis Armitage. For clarinet, tenor saxophone & piano. Swiss import. Grade 3-3+. Score and parts. Published by Editions Marc Reift (MA.EMR-8099P). 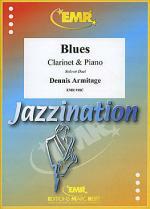 Blues by Dennis Armitage. For clarinet, tenor saxophone & CD accompaniment. Swiss import. Play Along. Grade 3-3+. Sheet music and accompaniment CD. Published by Editions Marc Reift (MA.EMR-8099). Blues by Dennis Armitage. For clarinet, alto saxophone & piano. Swiss import. Grade 3-3+. Score and parts. Published by Editions Marc Reift (MA.EMR-8098P). Blues by Dennis Armitage. For clarinet, alto saxophone & CD accompaniment. Swiss import. Play Along. Grade 3-3+. Sheet music and accompaniment CD. Published by Editions Marc Reift (MA.EMR-8098). Blues by Dennis Armitage. For flute, trombone & piano. Swiss import. Grade 3-3+. Score and parts. Published by Editions Marc Reift (MA.EMR-8097P). Blues by Dennis Armitage. For flute, trombone & CD accompaniment. Swiss import. Play Along. Grade 3-3+. Sheet music and accompaniment CD. Published by Editions Marc Reift (MA.EMR-8097). Blues by Dennis Armitage. For flute, trumpet & piano. Swiss import. Grade 3-3+. Score and parts. Published by Editions Marc Reift (MA.EMR-8096P). Blues by Dennis Armitage. For flute, trumpet & CD accompaniment. Swiss import. Play Along. Grade 3-3+. Sheet music and accompaniment CD. Published by Editions Marc Reift (MA.EMR-8096). Blues by Dennis Armitage. For flute, tenor saxophone & piano. Swiss import. Grade 3-3+. Score and parts. Published by Editions Marc Reift (MA.EMR-8095P). Blues by Dennis Armitage. For flute, tenor saxophone & CD accompaniment. Swiss import. Play Along. Grade 3-3+. Sheet music and accompaniment CD. Published by Editions Marc Reift (MA.EMR-8095). Blues by Dennis Armitage. For flute, alto saxophone & piano. Swiss import. Grade 3-3+. Score and parts. Published by Editions Marc Reift (MA.EMR-8094P). Blues by Dennis Armitage. For flute, alto saxophone & CD accompaniment. Swiss import. Play Along. Grade 3-3+. Sheet music and accompaniment CD. Published by Editions Marc Reift (MA.EMR-8094). Blues by Dennis Armitage. For flute, clarinet & piano. Swiss import. Grade 3-3+. Score and parts. Published by Editions Marc Reift (MA.EMR-8093P). Blues by Dennis Armitage. For flute, clarinet & CD accompaniment. Swiss import. Play Along. Grade 3-3+. Sheet music and accompaniment CD. Published by Editions Marc Reift (MA.EMR-8093). Blues by Dennis Armitage. For 2 tenor saxophones and CD accompaniment. Swiss import. Play Along. Grade 3-3+. Sheet music and accompaniment CD. Published by Editions Marc Reift (MA.EMR-8090). Blues by Dennis Armitage. For 2 alto saxophones and piano. Swiss import. Grade 3-3+. Score and parts. Published by Editions Marc Reift (MA.EMR-8089P). Blues by Dennis Armitage. For 2 alto saxophones and CD accompaniment. Swiss import. Play Along. Grade 3-3+. Sheet music and accompaniment CD. Published by Editions Marc Reift (MA.EMR-8089). Blues by Dennis Armitage. For 2 clarinets and piano. Swiss import. Grade 3-3+. Score and parts. Published by Editions Marc Reift (MA.EMR-8088P). Blues by Dennis Armitage. For 2 clarinets and CD accompaniment. Swiss import. Play Along. Grade 3-3+. Sheet music and accompaniment CD. Published by Editions Marc Reift (MA.EMR-8088). Blues by Dennis Armitage. For 2 flutes and piano. Swiss import. Grade 3-3+. Score and parts. Published by Editions Marc Reift (MA.EMR-8087P). Blues by Dennis Armitage. For 2 flutes and CD accompaniment. Swiss import. Play Along. Grade 3-3+. Sheet music and accompaniment CD. Published by Editions Marc Reift (MA.EMR-8087). Blues by Dennis Armitage. For tenor saxophone and piano. Swiss import. Grade 3-3+. Score and parts. Published by Editions Marc Reift (MA.EMR-8084P). 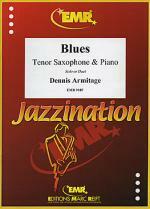 Blues by Dennis Armitage. For tenor saxophone and CD accompaniment. Swiss import. Play Along. Grade 3-3+. Sheet music and accompaniment CD. Published by Editions Marc Reift (MA.EMR-8084). Blues by Dennis Armitage. For alto saxophone and CD accompaniment. Swiss import. Play Along. Grade 3-3+. Sheet music and accompaniment CD. Published by Editions Marc Reift (MA.EMR-8083). Blues by Dennis Armitage. For clarinet and piano. Swiss import. Grade 3-3+. Score and parts. Published by Editions Marc Reift (MA.EMR-8082P). Blues by Dennis Armitage. For clarinet and CD accompaniment. Swiss import. Play Along. Grade 3-3+. Sheet music and accompaniment CD. Published by Editions Marc Reift (MA.EMR-8082). Blues by Dennis Armitage. For flute and piano. Swiss import. Grade 3-3+. Score and parts. Published by Editions Marc Reift (MA.EMR-8081P). Blues by Dennis Armitage. For flute and CD accompaniment. Swiss import. Play Along. Grade 3-3+. Sheet music and accompaniment CD. Published by Editions Marc Reift (MA.EMR-8081).